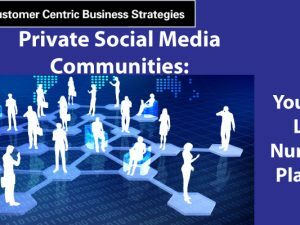 Businesses discover the value of social communities. 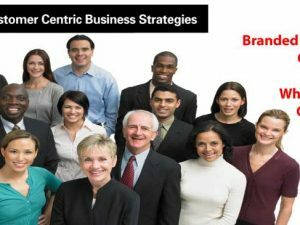 Why would an organization engage with a customer with only limited knowledge of that customer? In the age of social CRM, such engagement makes a business look completely out of date. As many of us know by now, social CRM is the intersection between social media and CRM. It consists of harvesting information from public and private social media sites, integrating this social insight into a customer profile, and leveraging this expanded customer profile to engage with customers via the channel of their choice. 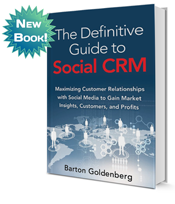 As I discuss in my new book, The Definitive Guide to Social CRM, more CRM vendors and social media platform vendors, are offering useful tools to bring social insight from public and private social media communities into the customer profiles housed within a company’s CRM system. Assuming CRM tools have been properly integrated, this allows sales, marketing, and customer service personnel to leverage the full CRM profile—inclusive with social insight—to better engage with the customer. American Automobile Association (AAA)/Canadian Automobile Association (CAA): In 2010, I worked to design and implement six social media community pilots that would feed social insight into AAA/CAA’s CRM applications. We created private communities whereby a subset of the 50 million members in these organizations could talk to one another as well as to subject matter experts about their automobiles, insurance options, etc. Several of these communities are flourishing today. ExxonMobil: In 2013, my colleagues and I created the Mobil SHC Club, a global, private community for B2B customers. The goal was to develop a private social community that leveraged ExxonMobil’s industrial lubricants technology expertise to build relationships and engage with customers and other constituents to drive customer loyalty, advocacy, and, ultimately, customer sales. All initial business metrics for the Mobil SHC Club community have since been met, and we are now designing Phase 2 of the initiative, which hopefully will include a tight integration with customer profiles housed within the company’s global CRM system. 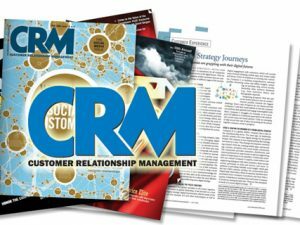 Six years ago, I became convinced that, when properly designed and implemented, social CRM had the potential to transform the way that organizations work together in the future. Over these past three decades, I have seen many new ideas come and go, but I did not want to see social CRM become just “another good idea.” Rather than over-evangelize social CRM, I spent the past six years putting social CRM in action, proving its value for some of my best customers. In each case, social CRM delivered beyond my wildest expectations. How ready is your organization for our industry’s next big wave?